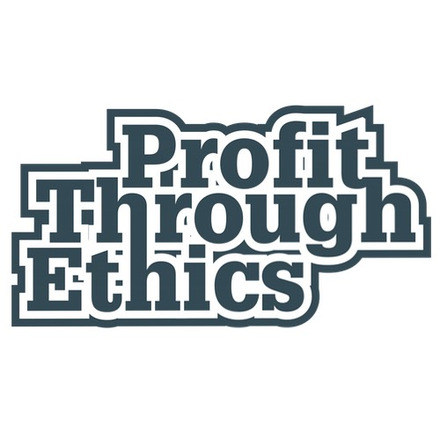 Profit Through Ethics Ltd (PTE) references inequality as a responsible business issue in the following answer. We believe that it is impossible to avoid the conclusion, with the breadth and depth of evidence now at our disposal, that inequality has a significant negative impact on society. We believe that increased inequality is unjust and unfair, and moreover, economically unsustainable. We further believe that all businesses face both moral and financial imperatives to act. We will endeavour to identify and adopt policies and practices which will enable our business to alleviate the problems of inequality, and reduce inequality. We will also seek to encourage and enable other businesses to do the same. In maintaining and developing the Responsible 100 initiative, a key aim is to enable businesses - and civil society organisations such as charities and public bodies - to better understand the social and environmental challenges they face, to identify better and best practices which they can adopt, and to empower and reward them to be as responsible as possible. PTE seeks to practice what we preach, by making sure that as a responsible business, we give back to society at large and make the world a fairer and more equal place. The information we publish in respect of low, medium and high pay within own business is as follows. All PTE interns are paid the London Living Wage. New members of staff are now being sought to fill longer term positions – albeit junior roles – at higher rates of remuneration (i.e. at a minimum of £11 per hour). PTE are firmly against zero hours contracts. If zero hours arrangements are not offered as an option but are effectively forced upon of vulnerable employees in need of secure and certain income as a ‘take it or leave it’, this is in our view exploitative and unethical. Again, low pay is the focus of another roundtable meeting to be delivered in 2017, and thus one where PTE will disclose more on in due course. Despite our business being a small one and our resources being limited, we support the Peabody housing association estate, on which our office space is rented, through volunteering. The estate is home to over 300 families, almost all of which are dealing with the challenges presented by low income and poverty. Our offices are Small Works Kings Cross, a low rent workspace designed to support non-profits, charities, social entrepreneurs and businesses. In return for low cost desk rental, PTE (along with fellow Small Works member businesses) contribute to the local community through regular, ongoing giving projects called “Give Backs”. These Give Backs consist of a series of community based projects designed to understand and address local community challenges and build on existing assets. Through our Give Backs, PTE staff give their time and lend their expertise to local entrepreneurs and aspiring micro-businesses and start-ups. We also support a London charity whose mission is to improve the lives of young people from underprivileged backgrounds through the performing arts. Partners with the award winning Anna Fiorentini Theatre & Film School to help provide local, affordable, accessible - and at the same time high-quality - performing arts classes to the community. As well as providing a platform for local talent to flourish, these classes also provide valuable life skills such as communication, personal development, teamwork, confidence, discipline and cohesion.